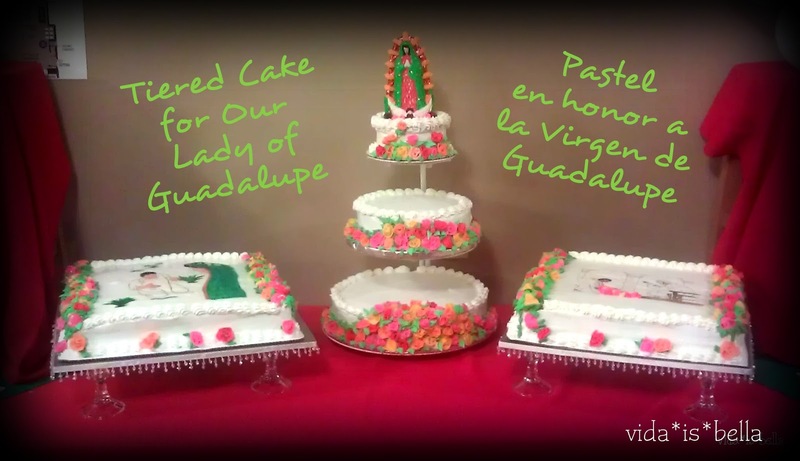 Lety and Esme did such an amazing job on this cake they made for our church to celebrate Our Lady of Guadalupe. All the layers were covered in gorgeous roses, which Our Lady miraculously sent to Tepeyac Hill in December as a sign of her presence. 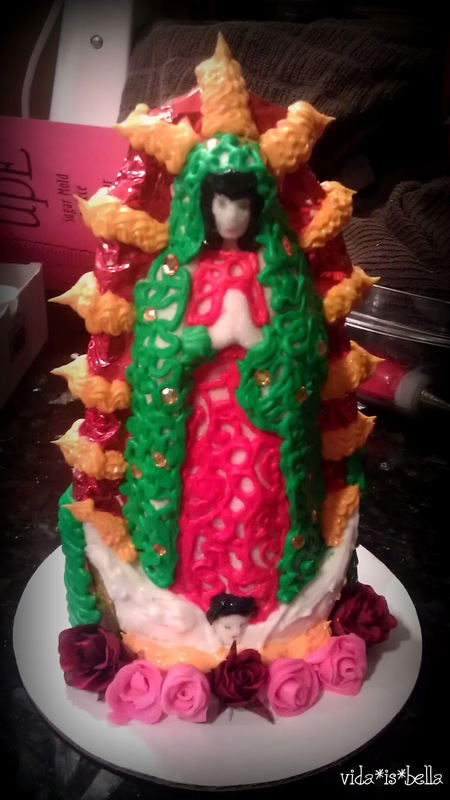 They made the Guadalupe statuette out of sugar and meringue powder from a mold bought here. I love how the flowers are falling down from Our Lady, so gorgeous! 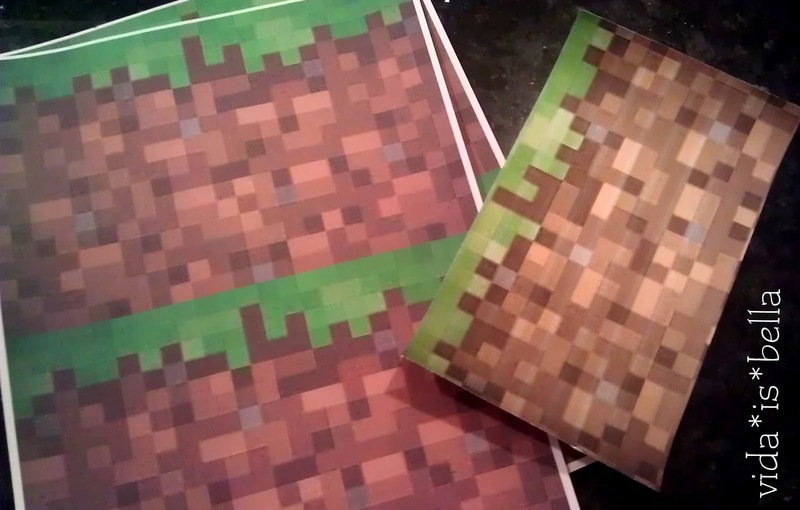 On the two side layers, they painted scenes from the story. 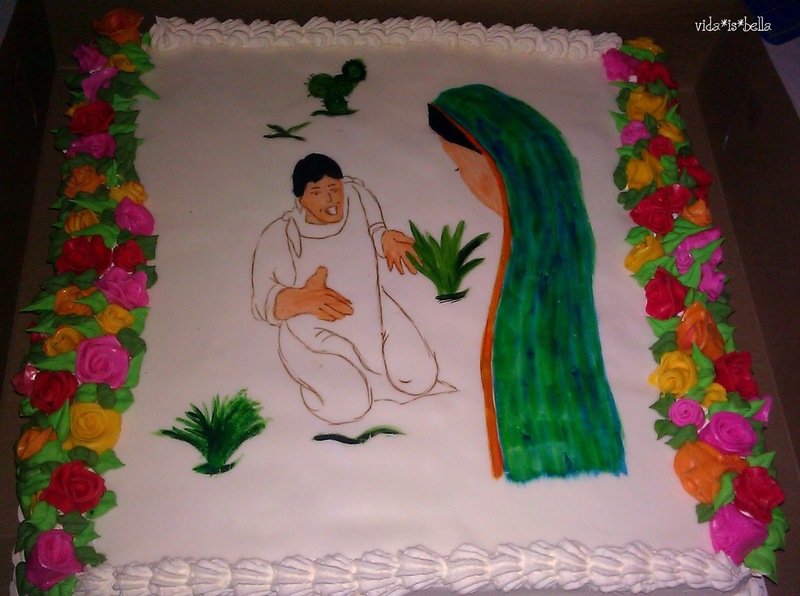 This one depicts one of Juan Diego's encounters with Our Lady. 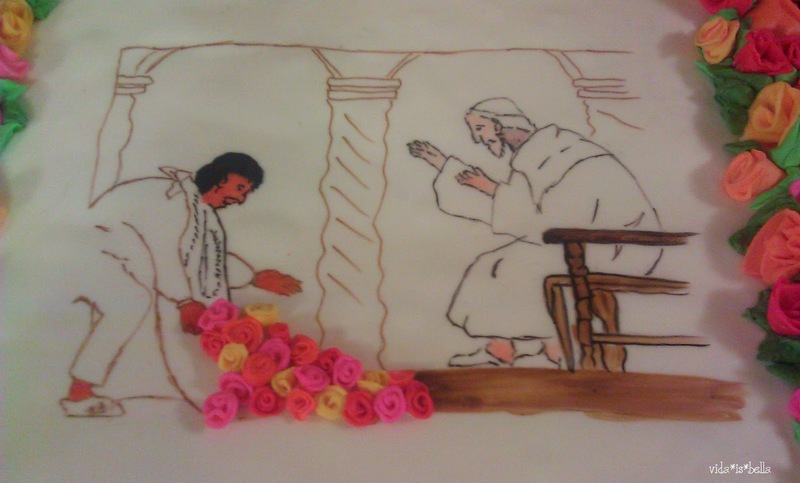 And here we see Juan Diego opening his tilma in front of the Bishop to reveal the miraculous image there as well as a deluge of roses in winter. It's such an amazing story and the cake was spectacular!